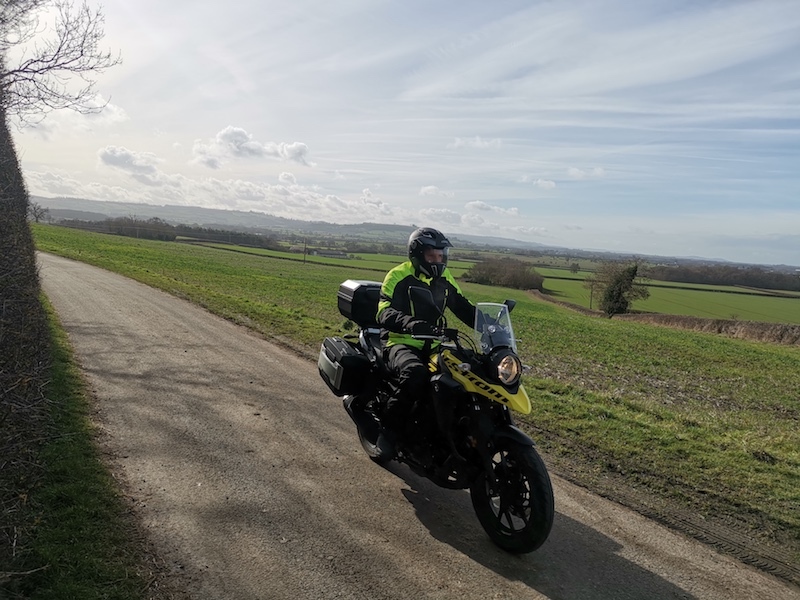 With a newly-gained full motorcycle license in his wallet, Will Sandilands is handed the keys of the Suzuki V-Strom 250 and becomes an adventure bike rider. At the start of the year, I passed my bike test. It was a brilliant moment and something I’m proud to have achieved. But I know what you must be thinking now you’re reading this: “how has this jammy sod managed to land a job testing bikes?” It’s a fair question. 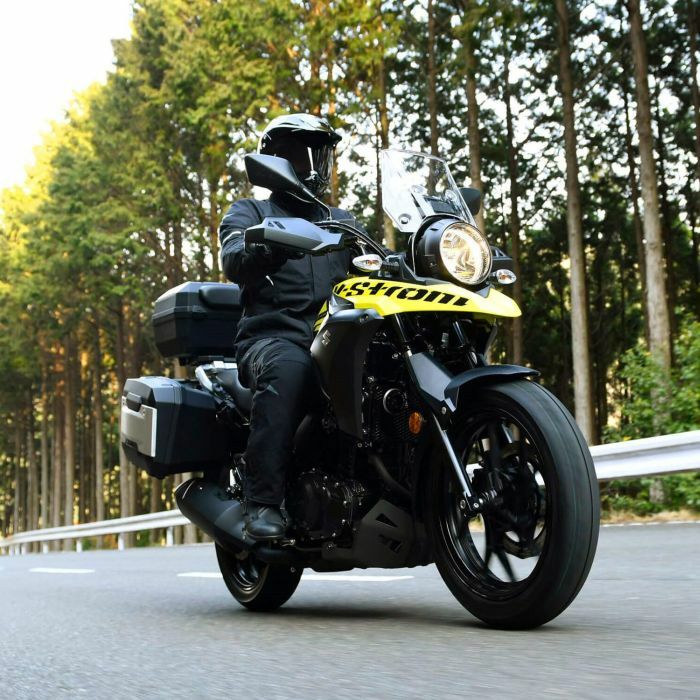 Nevertheless, perhaps I am the perfect person to talk about living with the V-Strom 250. 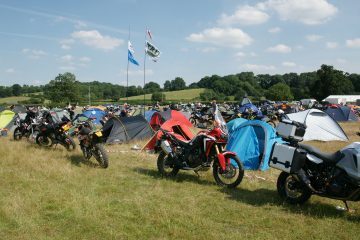 We’ve all got to start somewhere, and for me it’s with the V-Strom 250, which I am very excited about. 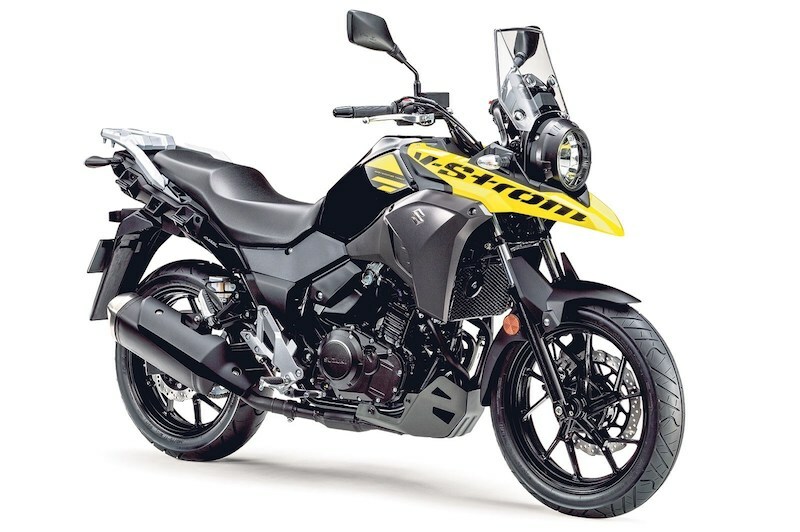 It is a surprisingly good size for me (being 6ft 2 and recently adding another X to my t-shirt size); its smaller engine and weight will help ease me in to riding and hopefully reduce the danger caused by inevitable mistakes and, most importantly, it’s an adventure bike which, given my place of work, is vital! 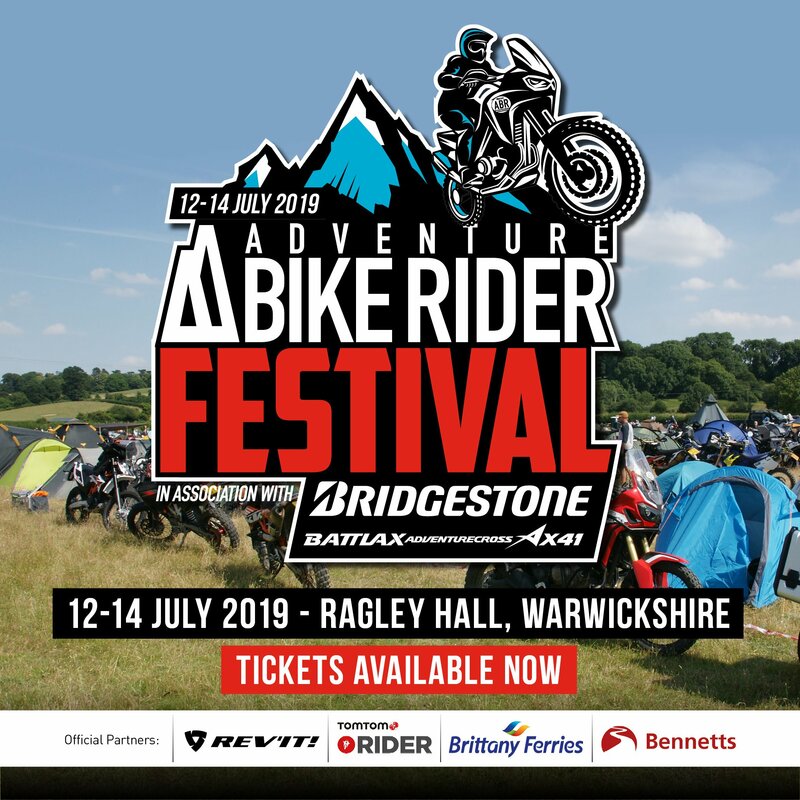 The size thing may seem trivial, and I suppose it is, but I feel far more comfortable on this bike than I did on the 125s or even the larger 600cc naked bikes I learnt on. 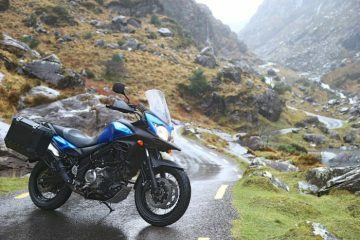 Perhaps its more to do with the upright seating position, the larger windscreen and other adventure bike characteristics, but ultimately this bike is enjoyable to ride and as a newbie biker, that’s a top priority. Another priority is safety. 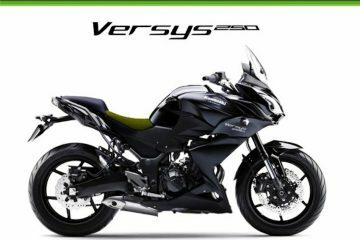 As I learnt during the process of taking my theory test, most motorcycle accidents happen in the first few years after gaining a bike license. As you can imagine, once I had passed my test, my mother (she still cares) began warning me of the dangers associated with biking. No sooner had she finished speaking than my older sister was reiterating everything she said and so on through the rest of my non-biker family. It put their minds at ease knowing I was starting out with a sensibly-sized machine. Despite its smaller size I still find the bike stable, it’s incredibly forgiving when riding slowly and on rideouts I’m still not dropping too far behind the bigger boys. 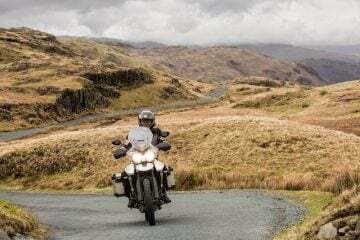 As a first adventure bike the V-Strom 250 works brilliantly. I can take it down my first green lanes safe in the knowledge that’s its lightweight and forgiving nature will go far in making up for my lack of experience; I can go on rideouts with bigger bikes and not feel like I’m holding everyone up, and it will manage long distances for my first proper adventures. Ultimately, this bike is offering me everything I wanted when I decided to do my test and though I am looking forward to sizing up, I am also excited to throw my leg over the 250 this weekend and seeing where I end up! 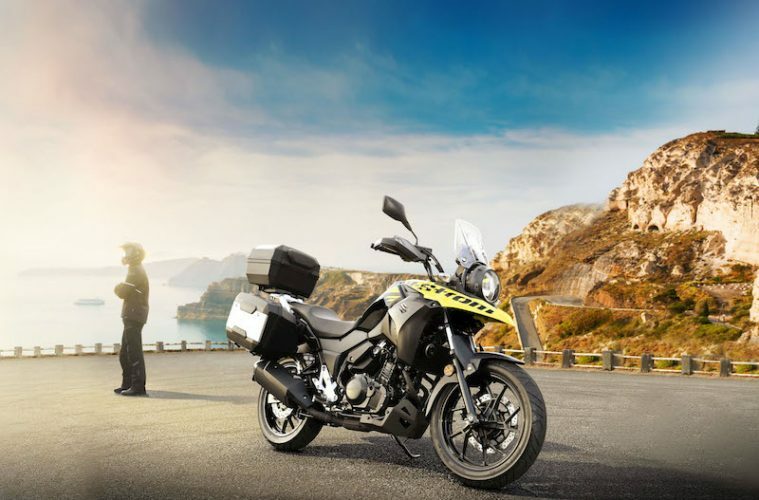 You could ride away with a new Suzuki V-Strom 250 for just £4,599 and begin your next adventure. 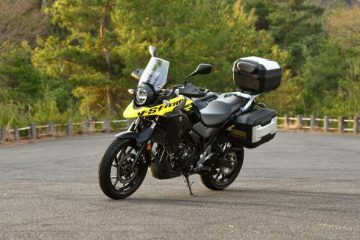 Accessories available to make your V-Strom tour ready include side cases and a top box, heated grips and knuckle guards, among others. Visit Suzuki online to find out more. 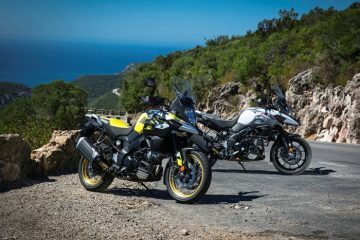 The Suzuki V-Strom range also features the V-Strom 1000, and V-Strom 650 motorcycles.